We have some explaining to do, so let’s get right to it. We took the last couple of months to rethink, reanalyse and figure out the best way to move forward, all done with the intention of providing the utmost experience for our users. We informed and educated ourselves on the ever-changing technological and advancing platform of mobile applications, on the forecasted digital trends that are taking over and most importantly, figure out how it can all be integrated to provide the most user-friendly, beneficial and accessible experience for brands and customers, while maintaining the rewarding, innovative and easy elements that define Frenzi Media. Check out our latest campaign with Nexus Engage. A widget comes in many shapes and forms, and what it does is act as a doorway or a shortcut to a larger digital landscape or application. The digital ecosystem has reached a stage where audiences can understand, appreciate and positively respond to its highly responsive and anti-ad blocking nature. Brands are granted the opportunity of providing consumers with access to additional information at their fingertips. In this ever-changing technological and digital environment, this kind of non-intrusive accessibility and immediacy is a big bonus and an attractive option for brands. With a simple embeddable code, brands have the chance to entice their users with more and more, add extra utility to their websites, provide a fully-customised, eye-catching option, and also expand and update their own user base through the convenience and appeal of the widget. On the opposite side, at a time of too-much-information and where many things get lost in the massive shuffle of facts & figures or in the unconsciously excessive scrolling, the widget is equally gratifying and useful for the users. It gives them the option of having easy, quick and efficient access to much more as part of their web experience in a completely non-invasive way, but instead, through the visually-engaging, intriguing and interactive widget suggestion. Visit Nexus Engage and earn a free cup of coffee. In Frenzi’s case, expanding towards the widget ecosystem and seamlessly integrating our brand philosophy and purpose across multiple platforms seemed like a natural progression as part of the continuous omni-channeling trend. It is all about accessibility, adding utility, providing engagement and displaying appealing information at the users’ fingertips across the board, packaged in a visually-friendly and attractive way. With the widget option, Frenzi Media has had plenty of renewed collaborations, where we were able to build a fully personalised campaign, with gamified content, on the fly, enhance users’ web experience and recombine brands with publishers. In the coming weeks, we’ll continue to fill in the gaps by further explaining and breaking down the widget option, as well as informing you of our old, new and future collaborations in more depth. Welcome to Frenzi Media’s blog section. We are thrilled to introduce you to our new, updated and active blog, where you can discover, learn and enjoy all things trending and happening. Let’s get some things in order. Since our app launch last November, we have been broadening our collaborations and agendas, all with the prime intention of maintaining, persevering and blossoming the relationship between retailers and consumers. The concept of Frenzi Media has expanded into online interactive advertising, where through the growing widget ecosystem, along with embedded gamification elements, we intent to increase user engagement and enhance their involvement in non-intrusive, fun and immediate ways. With the widget option, we have shifted our focus on cultivating fast, personalized and highly responsive digital ads that connect brands with publishers, which can be published and distributed with easiness and in a short amount of time. Through our blog, we will be informing you of all the exciting things we have been up to, as well as all the fun stuff we have coming up. You can expect to see posts about the digital market and marketing world, more lighthearted articles about the benefits of widgets, our brand updates and collaborations, user trends, and many more. Our next blog post will center on updating you on what we have been working on for the last couple of months, where we will break down all the hows and whys of the widget. Keep in touch with us through our blog and our social media for further updates and information in the coming weeks. It’s not a waste of time when you are having fun! Frenzi — Become A Shopping Hero is a gamified shopping app that incorporates the principles, reactions and emotions of the gaming context, while giving users a simple and easy opportunity to be rewarded. I was born in 1989. So, I grew up with a GameBoy constantly in my hands. Or at least when I could get my brother to lend it to me. Anyway. A GameBoy. That’s what I was holding at family lunches and dinners, so I wouldn’t bother the grown-ups. Then, I witnessed an entire generation of gamers lock themselves away in their rooms for what felt like an eternity, as they became enthused and intertwined with their PlayStation games. Next, came the ever-encompassing virtual reality of Call of Duty and its descendants, which led to numerous think-pieces and raised a whole community of geeks. Cut to the iPhone era, where games like Candy Crush, Clash of Clans and Angry Birds — Remember Flappy Bird, though? That was a weird week. — have swept our minds and concentrations. And then, there’s the always available Windows games, the Pacman machines, everyone has a Monopoly somewhere at home, cards, hide and seek is always an option, and so on and so forth. The moral of this small rundown through time is that games matter. Games have a substantial significance in establishing and representing a certain period of memories in someone’s life. They can shape and shift a memory’s emotional intensity. The idea that games project emotions of inclusiveness, euphoria and entertainment is a universally acceptable fact that transcends time and doubt. Games provide a sense of principle. Can you imagine a time when you were playing Super Mario Bros and thought to yourself, ‘you know, I’ll just skip this line of coins, why bother’? Of course not. You want those coins. You have to get those coins. There’s this unspoken code with playing any kind of game that you want and should want to achieve your very best. It can be an equally soothing and frustrating feeling, but by the end of it there’s a real sense of achievement and gratification that comes with it. Games are, unquestionably so, memorable. Everyone can remember the moment they finally broke a record or beat an extra hard level. It’s exhilarating. It’s not science-fiction, or award-worthy, but it’s still a super-rewarding experience. A memorable one. You can pinpoint that moment in time and remember that tingling feeling you had, all because of a game. They provide a mental stimulation unlike anything else. Your heart races, your palms are sweaty, knees weak, arms are heavy…sorry, got carried away with some Eminem there. Anyway. Games, whether interactive or personal, require a certain amount of concentration and commitment. There’s always a next level, or a bigger opponent, some sort of goal or limit that we ache to surpass and when that happens, — and it always does happen; nothing is meant to be unbeatable, but what’s fun without some frustration? — it is instantly a notable moment in time. That was equally our aim with Frenzi. Play a game, be enthused, feel engaged, reach your goal and revel in gratification from winning. The key to its appeal is in its simplicity. Everything is like a puzzle. Little by little, the pieces will fit together to form the larger picture. A memory. And games are exactly that. Let us break it down for you. We get you. Who has the time, the money or the appetite anymore to get pushed around and get flustered at all the busy high-street shops of London? But at the same time, who doesn’t want every single thing available in their stock? Your phone is pretty much an extension of your hand at this point — and if you think it’s not, you’re in denial — and half of the time, you are maniacally searching for something else to see, so you don’t have to get back to work or your date. You might as well open up Frenzi and engage yourself with cool brands, fun games and great rewards! 2. Let’s face it. You’ve scrolled through Facebook — no, you did not need to see 287 photos of your ex-colleague’s vacation to Vienna — sent some silly Snapchats, read a couple of funny tweets, and now what? Well, if you add Frenzi to that must-see list, you’ll get 10 shots at having some tangible rewards at the end of it! 3. You probably think you are cool. You probably are. Unless you compare your life to a teenage girl’s Instagram account, but let’s not go there. Frenzi can help you be even cooler by introducing you to and engaging you with up-and-coming and trendy new brands. 4. You can never have enough stuff. I think that’s been scientifically proven, right? So, wouldn’t it be awesome if you could have more for less? 5. Nowadays, there aren’t many things more thrilling than a basket full of rewards that can be yours with only a few more clicks. It’s either that, or a picture of Ryan Gosling holding a puppy and his daughter. And since winning your own offers from Frenzi’s array of cool brands is simpler, you can start off with that. 6. You know that exuberant feeling you get when your favorite football team wins? Or when you try to imagine what it must be like to be Jennifer Aniston’s husband, and you’re like ‘That would be pretty awesome’? Well, with Frenzi’s fun and easy brand-customized games, you can get a similar winning sensation. 7. You want everything and you want it now, but lying on your couch and watching Netflix for 8 hours is just too damn comfortable? Same. The choices are endless, but convenience is everything. Thank you, online shopping! 8. What else, what else? Oh! Frenzi is fun, and actually, pretty addictive. Let’s see you try and play just one game and then give up. You get 10 chances to win 10 different rewards each day. We hate to be premature, but you’re welcome! 9. Lastly, but certainly not least, Frenzi is FREE. It’s on your phone — and as we’ve established, your phone is never more than 2 inches from you — it costs you zero money, and it saves you even more. Frenzi is to iPhone apps what Phoebe is to Friends. Alluringly entertaining, but incredibly savvy! 10. So, guess what we’re saying is this: Download Frenzi. It’s easy, fast, fun and highly rewarding. And most importantly, you won’t have to get off your couch for any of it. Win-win situation, if we so say ourselves! If you like what you’ve read, ‘Frenzi — Become A Shopping Hero’ is NOW available on iOS devices for FREE. You can download the app HERE and we do welcome any feedback you may have! Broski & Co’s app ‘Frenzi — Become A Shopping Hero’ is here to embellish your shopping experience. Here’s why we launched. While coupons and offers are constantly being shoved in our faces in unwanted pop-up ads and thoughtless marketing ways, Broski & Co’s first retail gaming app ‘Frenzi — Become A Shopping Hero’ aims to create a rewarding shopping experience that is more fun, engaging and user-friendly. You know what they say about our generation. We expect everything to be served on a silver platter. We assume that success is a given. We don’t put in enough work, yet have unreasonably ambitious expectations. It’s the world’s fault, not ours. Sometimes, it kind of is the world’s fault. We want the absolute best for ourselves and others, and that’s not always what we’ve been taught, and that maddens us. The grass is possibly greener on the other side, and there’s no other way of knowing that than to start exploring and discovering. It all started with our frustration in the mainstreamed, conventional, even banal ways of getting every day shopping needs done. The inspiration to create a memorable, engaging and fun shopping experience is what triggered the idea for Frenzi. Essentially, we wanted to give people — the everyday millennial shopper looking to get a worthwhile deal in an economically rewarding and emotionally satisfying way — the choice of a free, accessible and easy alternative. Frenzi is a modern attempt to embellish the shopping experience. With Frenzi, you get to play a fast, brand-customized game that will get you a worthy, redeemable reward to cool and high-street brands. It dives into our primal instincts of having fun, being satisfied and winning, while simultaneously offering the opportunity to receive a valuable reward for clothing, travel or gadgets at the end of it. We tried to pinpoint what we felt was necessary and valued for the consumers. Everyone will jump at the chance to save some money, and who doesn’t like the satisfaction that comes with winning their own reward? Consumers want simple, personalized ways to discover the things they love, to get a true value from what they purchase, and of course, have some fun along the way. Frenzi does exactly that. One of the app’s primal goals is to also create a more interactive relationship between the brands and their customers. It seeks to offer them a long-lasting connection as a functionally enjoyable and emotionally engaging option out of the ordinary. The basis and objective of our marketing campaigns rely on always prioritising the users. Whether it’s coming up with thought-provoking and relevant posts for social media, or creatively interactive games, or ensuring time-saving and valuable rewards, it’s all done for the users’ fulfillment. The goal is to ultimately create a pleasurable and gratifying experience for them. An experience that will be worthy to talk about and worthy to revisit. We work very hard at ensuring that Frenzi is deemed useful, efficient and helpful by the users. Even though it’s our ‘baby brought to life’ as they say, it has been created and launched with the focal purpose of offering a rewarding, honest and enjoyable shopping experience to anyone who wishes to tag along. It’s still very much a thrillingly exuberant period for our Frenzi team. Everything is new, everything is a test, everything is part of a trial-error situation. We learn something new every day; about our brand, our users and about each other. We are still at the beginning of an exciting and hard-working journey and we look forward to sharing it with you. The destination, whenever that will come and wherever that will be, will just be the icing on the cake. Feel free to give ‘Frenzi — Become A Shopping Hero’ a try and give us your feedback. It is currently available on iOS devices and you can download it now HERE! It’s in our blood to be competitive, or at the very least, to want to strive for something better. A main design of the human psychology is problem-solving; starting with something small and turning it into something bigger and better. Gamification is as simple as that. It’s about taking one ordinary action and switching it up for a more enjoyable and profitable outcome. It’s about play and winning. It’s about incentives with a valuable effect. It’s also about not underrating the value and necessity of fun and joy. The notion of gamification, of incorporating game design elements in non-game contexts, is nothing new. As kids, we’ve all been told that the best assignment will get a gold star. We’ve all been pinned against our siblings in tidying up our rooms with the promise of more ice-cream scoops. These game-like principles trigger a sense of engagement, victory and progression, which are all universally positive human sensations. The success and prospect of gamification cannot be underestimated. It’s no coincidence that businesses, corporations, even educational establishments, still look for ways to implement gamification into their programs as a means of producing more immediate and accurate results and equally invigorate and motivate their employees by keeping their spirits high and their minds engrossed. Gamification has a lot to do with engagement, and at a time when social media and advertising are such dynamic tools, it can be such a powerful and effective measurement of success. It also has to do with primal human emotions and reactions. Competitiveness, winning, satisfaction, being part of an experience. These are all instinctive because they move and entertain us. However, gamification can’t function just by its principle. It can only grab an audience’s attention by providing a sense of sensibility, effectiveness and urgency in their immediate life and necessities. We are part of a generation where everything is moving at astronomical speeds, where everybody’s attention span is shorter than a goldfish, there needs to be a hook, an incentive, a reward of sorts, which will keep our interest. Gamification does exactly that. Game mechanics can inspire motivation, participation, incorporate a sense of fun and appeal to the human need for accomplishment. At the same time, it’s a thin line between merit and mockery. It’s one of the reasons why some have so effusively dismissed the reliability and validity of gamification. But, that’s like discrediting people’s grasp and alertness. Audiences are smart and educated, and can easily spot a gimmick. They crave simplicity, but they also don’t want to be undermined or exploited. In order for gamification to be praised and effective, there needs to be inherent value and true logic in what a product has to offer. 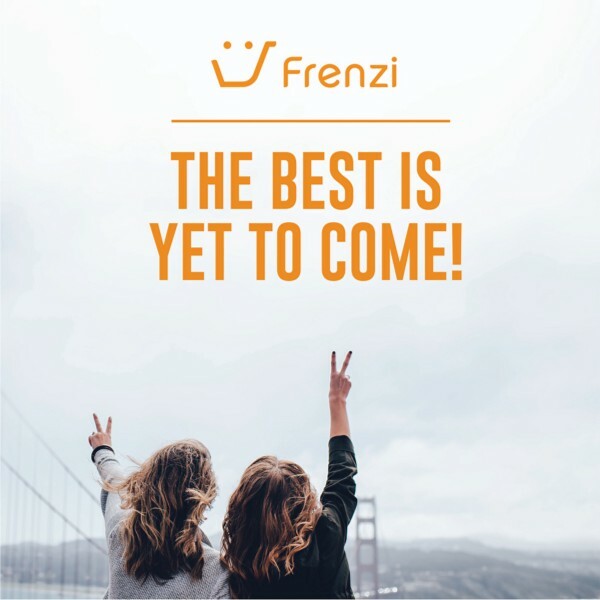 With Frenzi, we paid close attention to all the important variables of gamification, and came up with an app that as simple as it is rewarding, while encompassing engagement, exploration and the inherent addictive discipline of gamifying a routine or a habit, such as shopping. Gamification is the means to reaching and achieving an answer or solution, and if used with complete transparency and authenticity, it can lead to and maintain greatly loyal, engaging, enthusiastic and entertaining relationships with users.